This is the finest quality rubber mat you can find. All rubber construction. Square edges for recess use and bevelled edges for surface use. We will also vary the type of edge according to you specifications. Easy to handle: rolls up in either direction for cleaning. Custom made to fit areas of any shape, including the recess area in and under revolving doors. 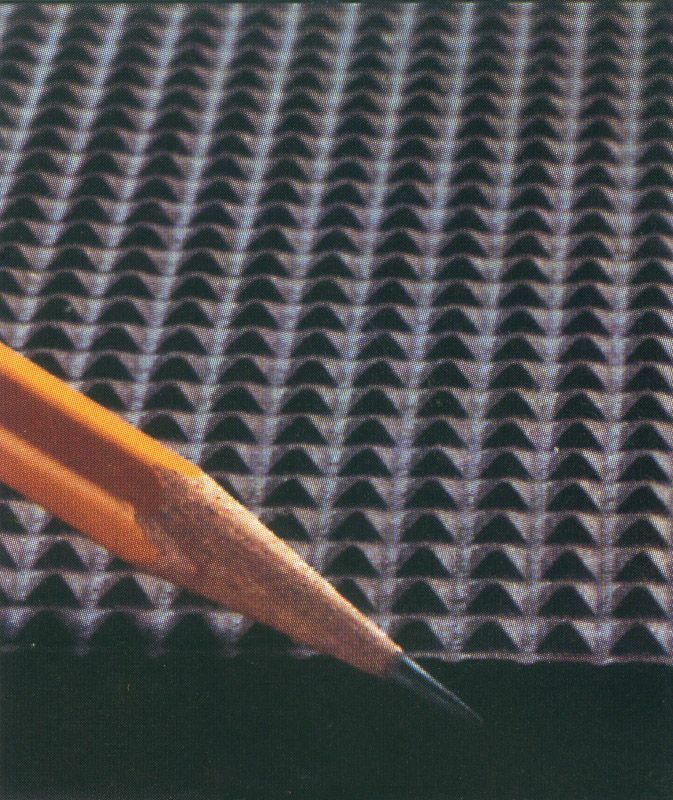 Three different types of perforations available, or no perforations at all if desired. 3/8" or 1/2" thickness. Standard widths are 36", 48", 60" & 72" Custom sizes are most common and are available. Weight is from 2.25 lbs to 3.25 lbs per square foot. Available colors are black, gray, sand and red. Custom inlay of your logo or design available.